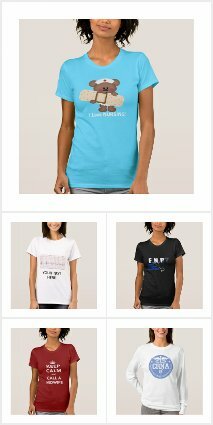 Unique, Personalized, Funny Gifts for Nurses, RN and Scrubs - graduation, newly qualified, practical, retirement, thank you, new job and more. Modern trendy designs for male and female nurses. The site is free to use as it is supported via referral fees from any sales that result from my efforts. I also design gifts for sale via Zazzle so custom gift queries are also welcome. Have a great day! Get That Retiring Nurse a Gift, Stat! Chances are, if there is a retiring nurse in your family or circle of friends, you know how difficult it is for them to come to terms with their retirement. Think about it. These people swore to spend their lives helping the ill, console those in need, and assisting physicians in their work. They work tirelessly to make us feel better. For the short (or extended) time you are in the hospital, they go above and beyond to ensure your comfort, and very rarely do they receive the thanks they deserve. From what I've seen, once a nurse, always a nurse. Retired nurses still want to do their part, and friends and loved ones still look to them for guidance when it comes to health and wellness matters. So if you do know a nurse who happens to be retiring, why not show them how much you appreciate all that they've done over the years? You can't go wrong with a gift of jewelry, assuming the nurse in question is a woman. There are adorable necklaces with pendants that look like aspirin, or necklaces that can be personalized with the Nurse's Prayer and/or their name and retirement date. There are bracelets made especially for nurses that will remind them of their many years of service every time they wear them. Just imagine all the years nurses have to spend on their feet! Who wouldn't appreciate a gift basket designed specifically for their footsie-tootsies? Yes, it's another gift that you'd be more likely to give to a woman, but there are also many spa products available for men. After all, male nurses deserve to be pampered a bit, too! If the retiring nurse is a coworker of yours, why not arrange for a group photo to be taken in the weeks before they leave, then present it to them in a customized photo frame? You could even arrange for everyone to write the nurse a special message, and insert it behind the photo for an added surprise. If your nurse friend or relative will be traveling during their time off, an engraved money clip to keep their money safe would be greatly appreciated, as would a special retirement mug filled with a package instant coffee to take with them on their travels. A leather-bound travel journal with a personalized pen will help them either write their memoirs or record memories of their journey. Whatever the gift, make sure your retiring nurse knows that you appreciate their years of service. After all, they wore special sets of silly scrubs and colorful crocs in the hopes that they would cause someone to smile...so why not do something to make them smile for a change? Gifts chosen for individual professions are meaningful and thoughtful. Profession gifts normally point out traits and qualities sometimes through humor or thoughtful sentiments. If looking for a special nurse gift idea, you will find a large number of "profession" type gifts relating to nurses, nursing, RN's, and LPN's. When thinking about a special nurse, something that naturally comes to mind is that a nurse is someone that is caring, has patience, shows compassion and devotion to his or her work. Many people search for nurse gifts to thank a special nurse, to congratulate someone graduating from nursing school, or even to thank a retiring nurse for years of service and dedication. Many people search for nurse gifts for Nurses Day. National Nurses Day is always celebrated on May 6th and ends on May 12th, which is the birthday of Florence Nightingale. It recognizes the commitment that nurses make and educates the public about the significant work they perform. Because of their long hours and the schedules they are required to work, the celebration is a week long. Be sure to thank a nurse that has touched your life or the life of others during National Nurse Week. Fortunately, there are many places that offer gifts relating to the nursing field. You will find nursing accessories, apparel, jewelry, inspirational, meaningful, keepsake items, and engraved gifts. During Nurse Week, popular gifts include cookie bouquets, gift baskets or candy bouquets. 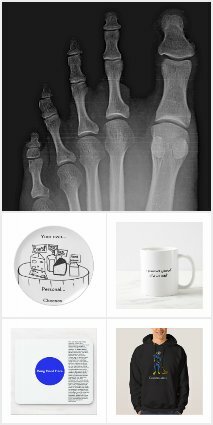 These types of gifts can also be found themed around the medical profession. Some gifts offer humorous quotes or phrases relating to the field. Other gifts are specific to an actual title. For instance, you will find gifts specific for RN's (Registered Nurses) or LPN'S (Licensed Practical Nurse). Prices vary for nursing gifts so you are sure to find something that fits your budget. Visit http://www.abernook.com for unique gift ideas. If you are shopping for someone who works as a nurse, you should consider buying them great nurse gifts. Gifts that emphasise a person's nursing career tell them how much you appreciate what they do for other people and they're sure to love the gesture. You'll find a range of great gift ideas for nurses online or at speciality stores. 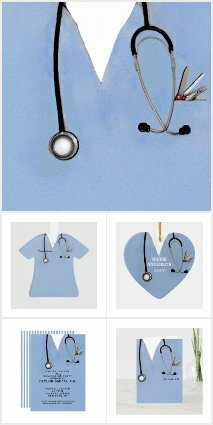 Whether you are buying for a male or female nurse, you'll find a wide range of gifts including jewelry, desk accessories, clothing, and books. You can choose from practical or just plain fun gifts for any nurse that you know. In fact, you'll probably have trouble choosing between all the available gifts out there. Some of the more popular nurse gifts include t-shirts or other clothing with sayings on them about nurses or nursing. You'll find simple designs that identify the wearer as a nurse or apparel that includes funny sayings or cartoons regarding nursing. 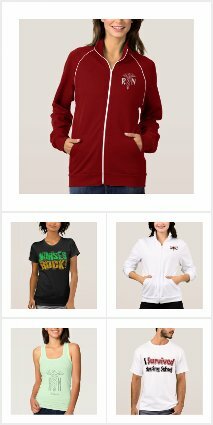 Whether individuals wear them out on the town or around their home, the clothing will be comfortable and look great, while identifying the individual as a nurse. Another popular choice includes books and materials about nursing. If you know of someone graduating or looking at a career in nursing, introduction or study prep books make a great choice. Established nurses may enjoy inspirational books about nursing or books that look at famous nurses from the past such as Florence Nightingale. Many women love receiving jewelry and jewelry featuring a nurse theme can be a great choice. Some nurses like to put badges or pins on their scrubs. Others may like charm bracelets with a nursing theme. 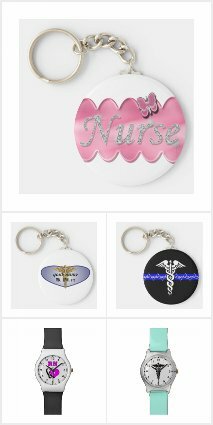 You can also find key chains, necklaces, and earrings that have a nurse theme and include graphics like hearts, the nursing lamp, or a nurse's hat. You can also choose gifts that will help a nurse in his or her daily activities. A great pair of shoes will help keep them on their feet all day or night while an attractive tote bag or backpack allows them to carry everything they need with them to work. Another great gift idea for nurses is to buy them a message for all the hard work that they do every day. Nurse gifts show the nurses in your life how much you appreciate them and their work. Whether it's for a relative, friend, or the nurse who saved your life, they'll love getting a gift related to the work they love and have dedicated themselves to. NurseNetOnline.com is your complete nursing information resource. We've got it all from nursing quotes to nursing employment options. I am a gift designer and a participant in the Amazon Services LLC Associates Program, an affiliate advertising program designed to provide a means for sites to earn advertising fees by advertising and linking to amazon.com, amazonsupply.co.uk as well as for other reputable merrchants. Copyright LeahG all rights reserved. Watermark theme. Powered by Blogger.